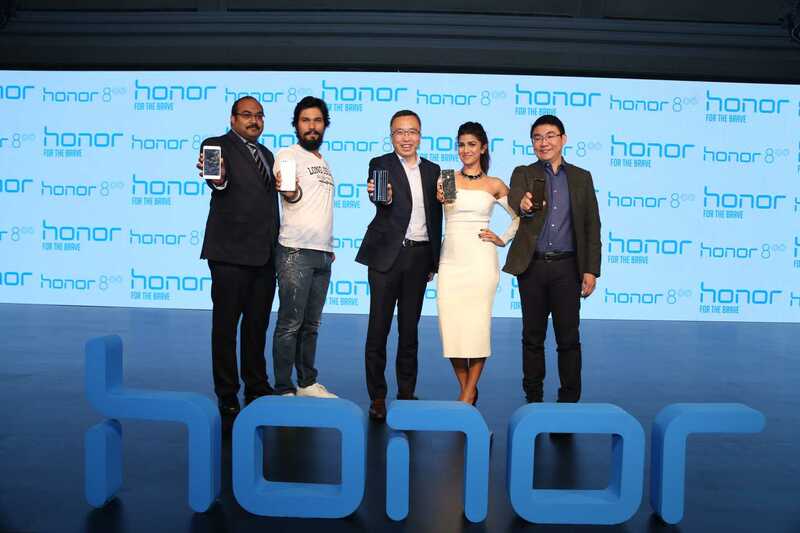 Honor recently launched its flagship device Honor 8 after its 2nd anniversary in India. The special feature of the phone is the Dual Lens camera(not Leica) at the back similar to Huawei P9. Along with Honor 8, the company also launched Honor 8 smart and Honor Holly 3 which is its first phone that is “Made in India”. Let us go through the specifications of all the latest devices from Honor. 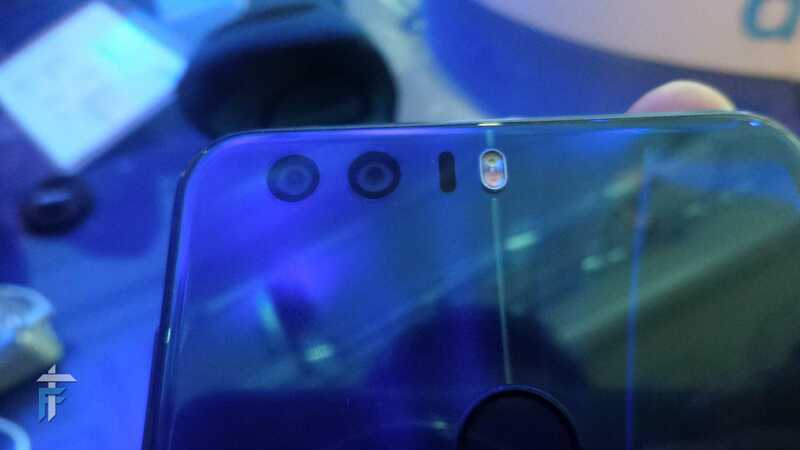 Honor 8 has a cool new design with 2.5D glass on both sides – front & rear(15 layers) and rounded sides. The phone becomes slippery and a fingerprint magnet with the added beauty of the glass. The placement of the buttons and ports is quite standard. It has a USB type C reversible port for charging and data syncing. With the full HD screen of 5.2 inches, it touches that sweet spot making it easy to use with one hand. The one thing that is amazing about the design is the flat rear despite of the dual lens camera and the fingerprint sensor. The phone weighs 153g. It comes in three color variants viz. Sapphire Blue(The Best), Pearl White and Sunrise Gold. Overall I am pretty happy about the design changes Honor made in its new Flagship device. Honor 8 comes with 16 nm Kirin 950 chipset which reduces the power consumption of the device. It has an octa-core processor(4×2.53GHz+4×1.8GHz) with 4GB of RAM and 32GB(22GB user available) ROM which is expandable up to 128GB using micro SD card(dedicated slot). For the graphics it has Mali-T880 GPU. The AnTuTu benchmark score for Honor 8 device was 89,948. Now the sad part is that it has single Nano SIM(4G LTE) support which can be a deal breaker for many Indian users especially with JIO out there. Plus none of the Honor phones still have VoLTE support which is something that needs some serious attention. As for the software is concerned, Honor 8 runs on Android 6.0 marshmallow with EMUI 4.1 which is exactly the same as on Honor 5C. I actually hoped to see some changes in the software too. Coming to the main feature of this phone i.e. camera, it has 12MP dual lens(Monochrome+Color RGB – f2.2) rear camera with dual-tone LED flash. The front shooter is of 8MP with f2.4 aperture. The dual lens gives the image more depth of field while taking in more light to give some nice shots in low light. But some samples do indicate that the light intake also introduces a lot of noise while taking pictures in low light conditions. Instead you can use the low-light mode to show pics in darker condition to get better output than auto mode. The professional or the manual mode gives you a lot of freedom to play with the camera controls depending on the scenario you are trying to shoot. You can shoot full HD videos at 30 fps using both rear and front cameras, unfortunately you don’t have OIS support which is offered by other phones in this segment . Well I would like to say that Honor did really great job by introducing dual lens for this price segment, thumbs up for the camera feature(If we keep the missing OIS aside). As far as other feature goes, Honor 8 has NFC support(also for payments) along with infrared LED(remote control). It has dual antennas with auto switching based on the best reception. Same thing follows up with Wifi+ too as it will prefer 5GHz over 2.4GHz till it can offer greater speeds. Talking about the fingerprint sensor, it works quite well and is quick to respond. There are various smart features associated with the fingerprint sensor like taking photos, making payments, record videos, receive calls, snooze the alarm, and it can work as a smart key too for apps. Screenshots can be taken by tapping knuckle on the sensor. The packaging of the Honor 8 is done in an eco-friendly box which is again a good thing. The device has a 3000mAh battery(rated – 2900mAh) which supports fast charging(47% in 30mins) and full charge takes up to 90 mins. The charger rating is of 9V 2A. Honor is providing you with 2 years of warranty for the device, 6 months for the accessories and 3 months for touch screen replacement. That is some confidence they are showing with that extra 1-year warranty which is not very common. The phone is priced at Rs.29,999 which is a bit high if consider the specifications or if we compare it with its competitor OnePlus 3. Though it has a dual lens camera, it lacks dual SIM & VoLTE support. I would say that there is going to be a tough fight between Honor 8, Zenfone 3 and OnePlus 3 out of which OnePlus 3 wins. You can always consider Honor 8 for its dual lens camera and compact body. Honor 8 smart has a 5.2 inch full HD screen with Kirin 650 chip clocked at 2GHz. It has 2 GB RAM and 16GB ROM with expandable storage. The rear camera is of 13MP(stack sensor Sony IMX214) and the front is of 8MP both single lens. It runs on Android 6.0 with EMUI 4.1 and has a battery capacity of 3000mAh. The color choices include black, white, gold and the phone will be available for Rs.19,999. Honor Holly 3 has a 5.5 inch HD display with a plastic back and metal on the sides. It weighs 168g and is 8.45mm in thickness. It runs on Kirin 620 octa-core processor clocked at 1.2GHz and has 2GB RAM. 16GB ROM(expandable up to128GB). It is again a single SIM(4G) device that runs on Android 6.0+EMUI 4.1. Honor Holly 3 has 3100mAh battery and micro USB port. The color variants include black, white, gold and the Holly 3 would be sold at a price of Rs.9,999.